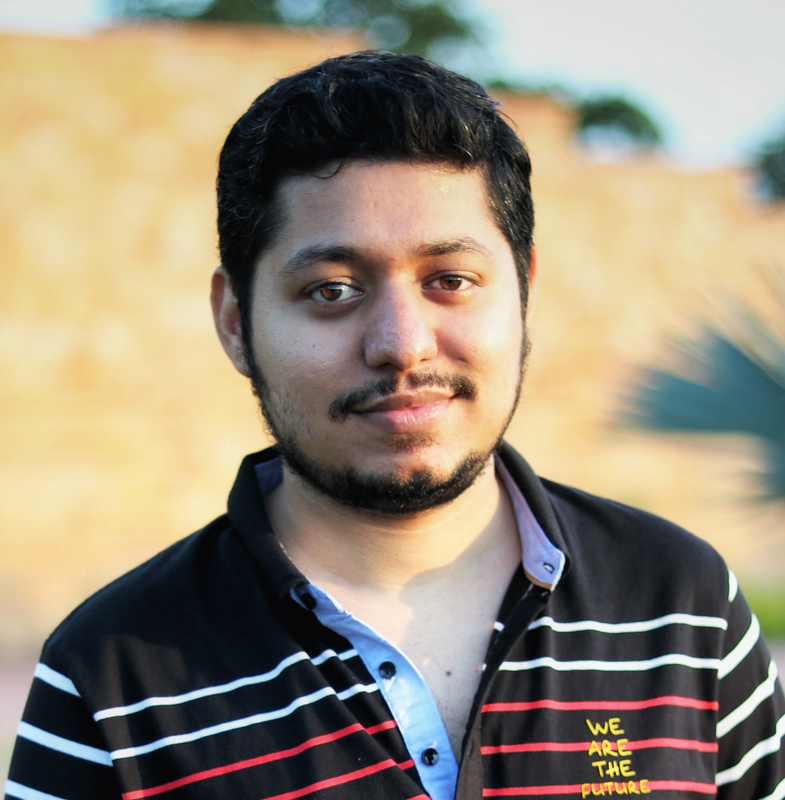 I have an Objective-C framework which I started before Swift came out and it works fine. I decided that I will use Swift for any new feature that I am going to add. 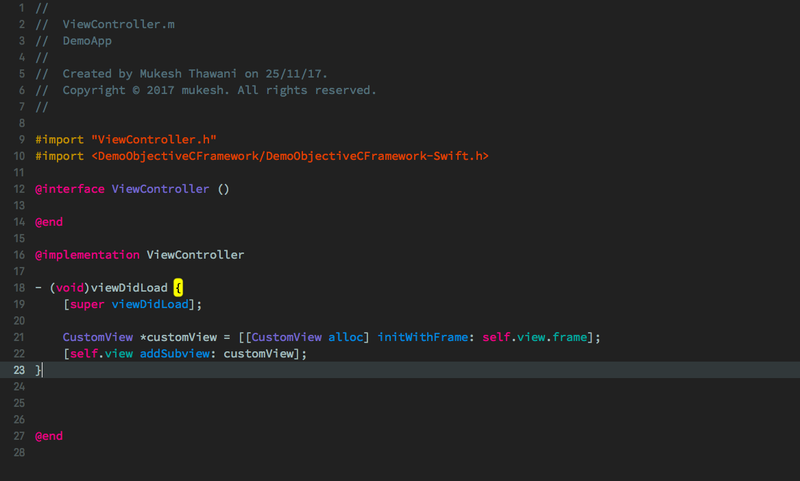 So, the question is, How to use Swift code in an Objective-C framework? You might think that I will get a lot of results when I search it on Google but that was not the case, most of the results are for adding Swift code in an Objective-C project, not a framework. I thought I should share the details of how I did it. So, let’s start. First Step is to add a new Swift file in an Objective-C framework. Remember to add it to the Framework not project. Note: If it’s an Objective-C project then a popup window will appear for adding a bridging-header but not in the framework. I wasted a lot of time in this as I read it in many forums and blog posts that you get a popup. I even created a bridging-header manually but, it’s not required. Next step is to change this setting: Always Embed Swift Standard Libraries to Yes in the target’s build settings. After that change, this setting Defines Modules to Yes if it is No. It is present in the Packaging section of target’s build settings. Now the framework and the project both should build successfully. It will be same when using the Swift file outside the framework. This(ModuleName-Swift.h) header file contains an interface for all Swift declarations. 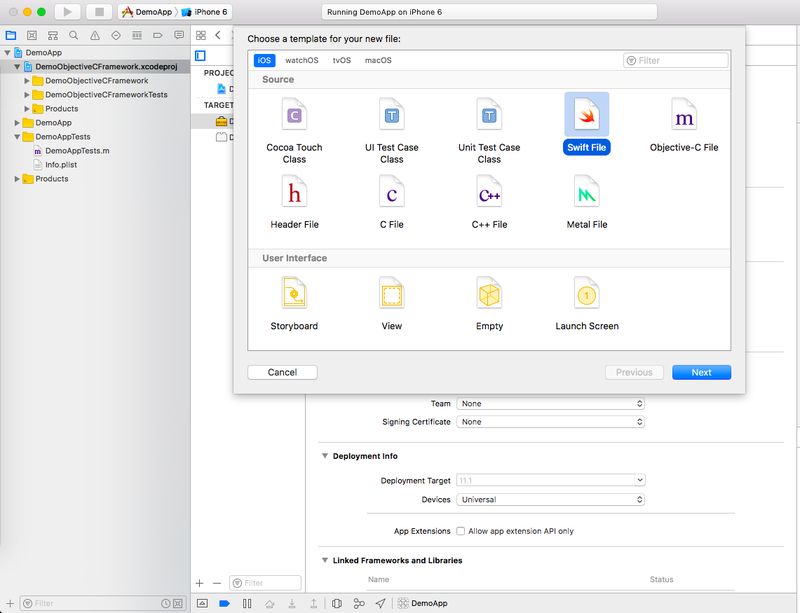 Now we can initialize the class which we created in the Swift file. Before we call the Swift code in an Objective-C file, keep in mind not everything is accessible. 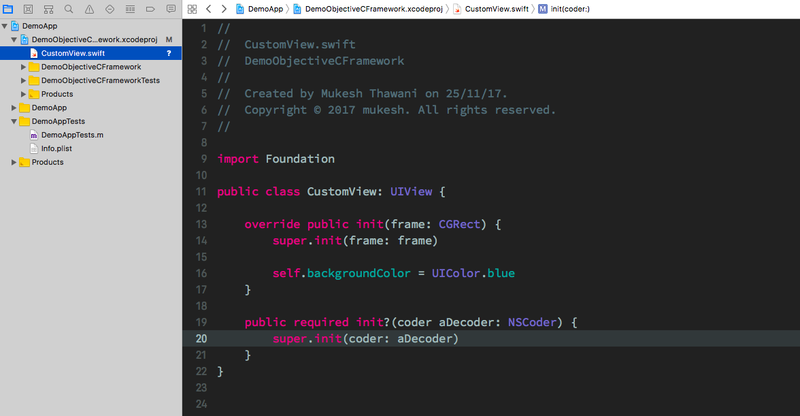 We can access the Swift declarations marked with the public or open modifier.